When Scandal's Olivia Pope made her way onto the TV scene, viewers were wowed by her strong personality and ability to always pull off a killer wardrobe on almost every single episode of Scandal. And why wouldn't they be? Olivia is the woman who’s always in charge, able to command attention from those around her by simply being in a room — it almost seems too good to be true. However, she's not: She's real, and, after Sony Pictures Entertainment's recent hack that resulted in North Korea stealing a massive amount of information from their systems, she's desperately needed in Hollywood. 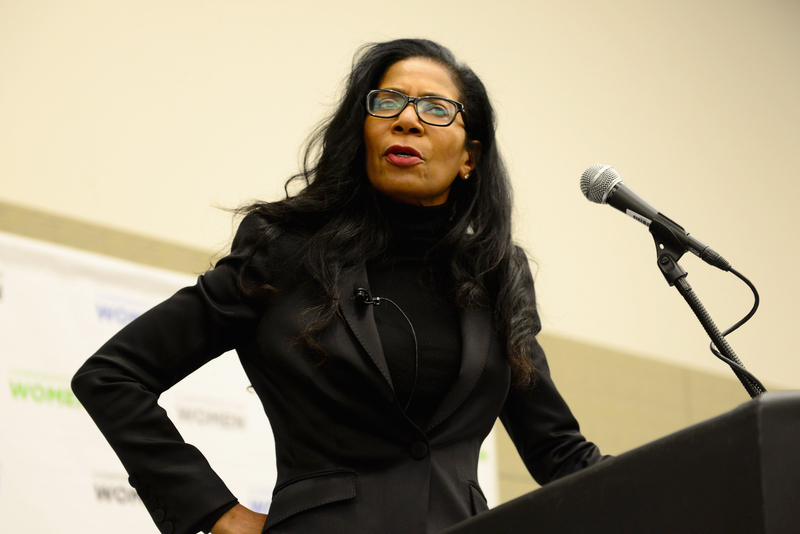 According to EW, Sony has hired Judy Smith, the real-life inspiration for Scandal's Olivia Pope, to advise and respond to the public's criticisms in light of the hacking. That's right: Smith actually inspired Olivia Pope for Shonda Rhimes’ popular political show. Though this isn’t to say that Olivia’s life in any way mirrors Smith’s (e.g. Olivia's scandalous relationship with the president), it is to say that Smith has taken on difficult clients before: For instance, she's worked with major public figures like Monica Lewinsky, Wesley Snipes, Michael Vick, Walmart, and United Healthcare, according to EW. Considering Sony is facing some major lawsuits from former employees whose information was picked up by North Korea during the major hack, they're definitely going to need all the help they can get — and it looks like they may be in good hands now with Smith on board.